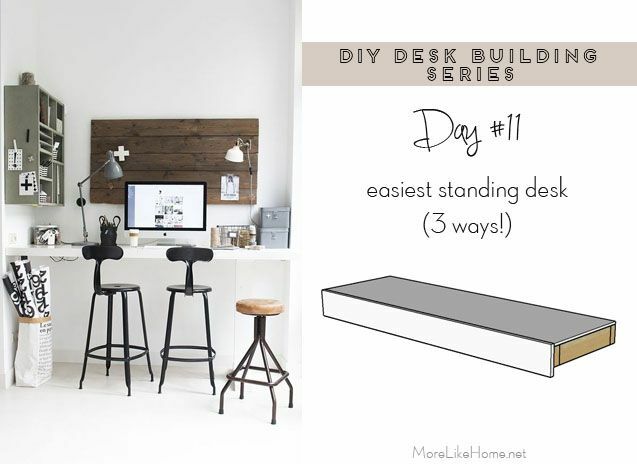 Today we're looking at three ways to make a standing desk that are all super easy. First up is a handy built-in desk. And the rest of the standing-height desk plans here! 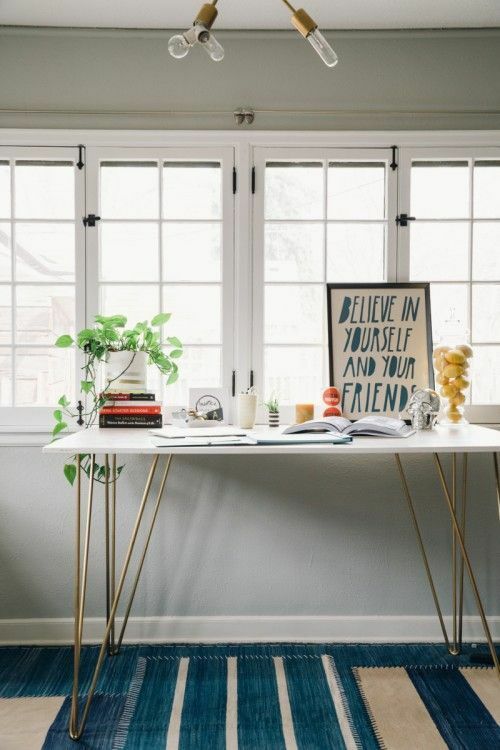 This desk is perfect to tuck into a nook, or an easy way to turn an extra closet into a mini office! The size is easy to adjust to fit your space. We'll basically be building a simple platform that will attach to the walls in your nook or closet (and if standing desks aren't your jam you can just mount the desk lower for a standard height desk). Note: you do need to attach this this desk to three walls. If one (or both) sides are not attached to a side wall you will need to add a leg/s to the front corner/s for support. 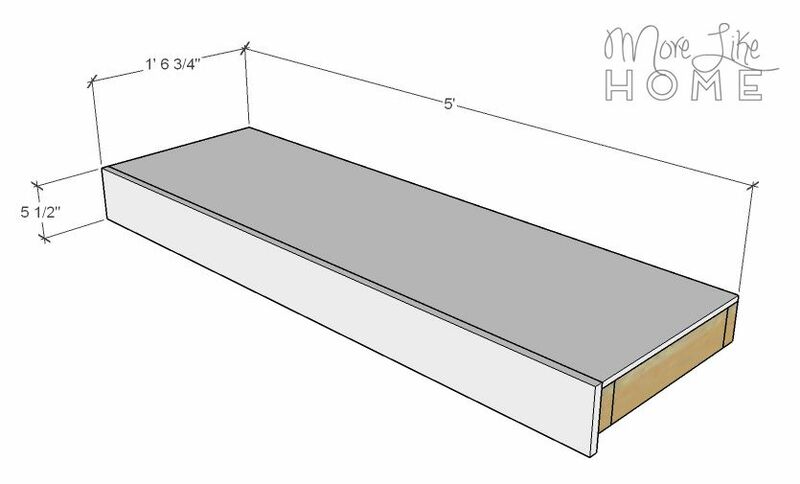 I've drawn this desk to be 5' wide x 18 3/4" deep (which should fit the depth of most standard closets) but you'll need to customize this desk to fit the exact length of your nook. But don't be discouraged, it's super easy! Here's a short little shopping list to build this desk, but you'll need to adjust it depending on the size of your desk. 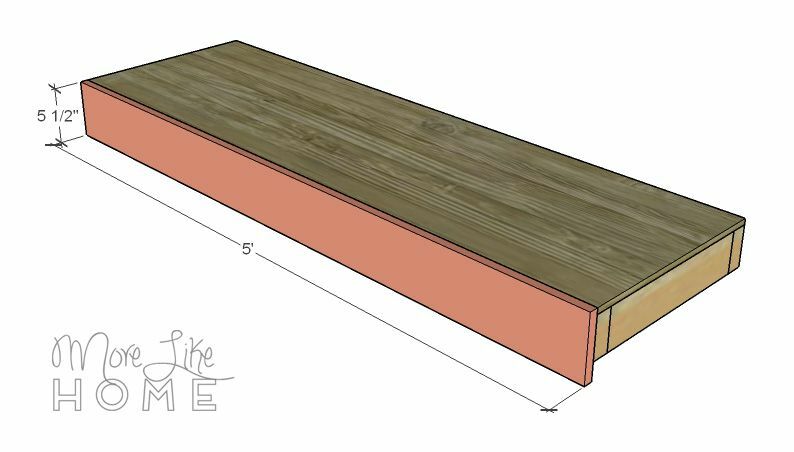 3/4" plywood @ 18 x 60"
(B) 5(ish) - 2x4 @ 15" (frame supports) you'll need one every 12-16", so adjust the amount to fit your desk size. 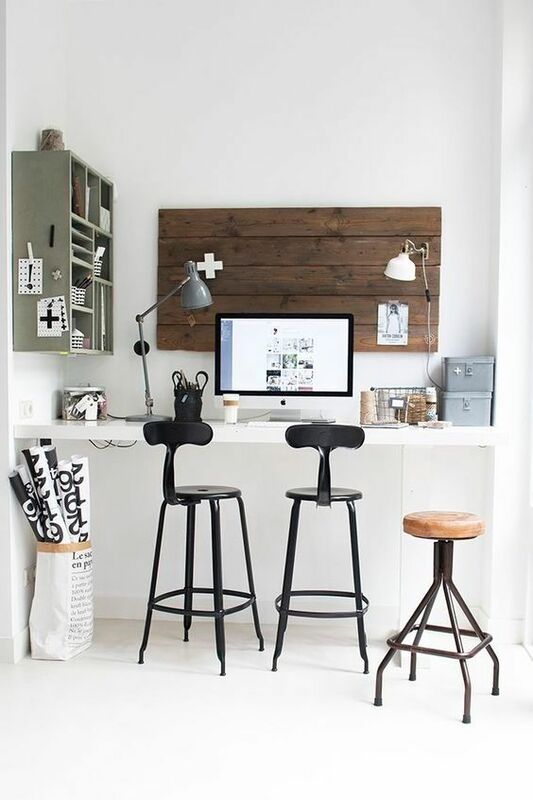 You can also change the depth of your desk by cutting these boards longer or shorter. Start by building the desk frame. 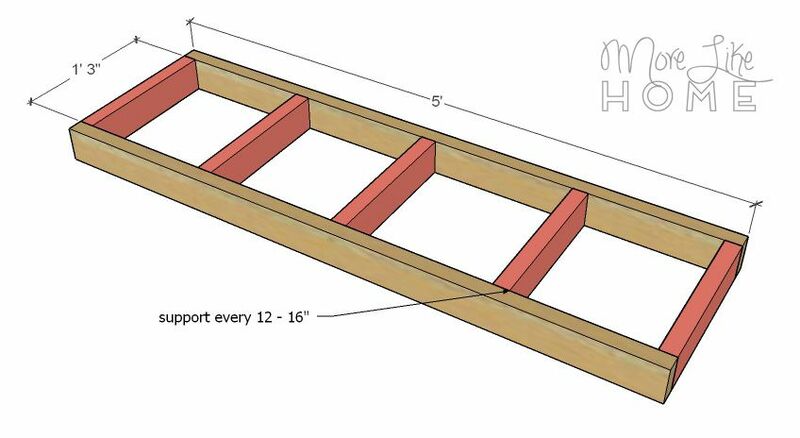 Cut two front/back boards (A) the width of your nook/closet.Attach the frame supports (B) between the front/back boards. You need a support board every 12 - 16". 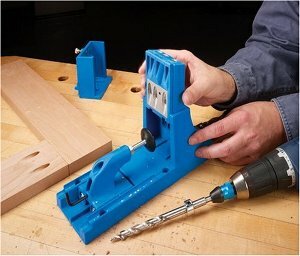 You can use a Kreg Jig to make pocket holes in the ends of the supports and attach them with 2 1/2" pocket hole screws, OR drill through the front/back boards into the ends of the support boards with 3" wood screws. The screws won't be visible when we're done either way, so don't worry about countersinking this time. 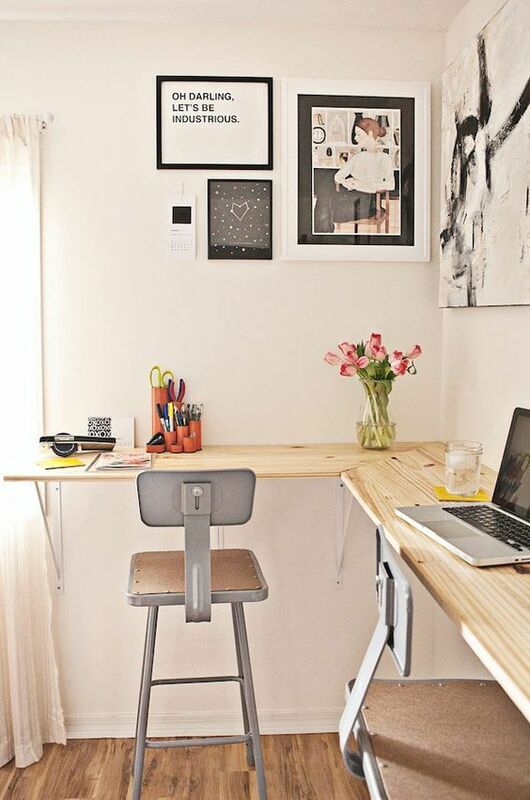 Cut a piece of plywood to fit the top top of your desk (C). Attach it to the frame using glue and finishing nails. You could also attach it from below using a Kreg jig if you use 1 1/4" pocket hole screws and the 3/4" wood setting to make holes along the top of the frame boards. 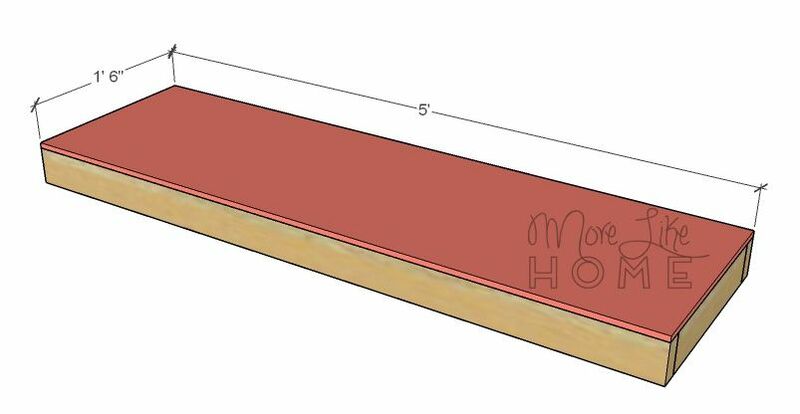 Cut a 1x6 the length of the desk for the front trim (D). Attach it with finishing nails and glue. To finish, fill any holes with wood filler then sand everything down really well. This is the most important step for a professional finish! Start with a rough sand paper, then go over everything with a medium paper, then again with a fine paper. Once it's super smooth, finish it with whatever paint or stain and sealer you like. You may want to use painters tape along the wall to keep your finishing on the desk where it belongs. That's it for desk number one! These next two are ideas I found on pinterest that are so simple you don't even need a plan! For desk #2 all you need are some brackets from the hardware store and a little wood. You can use a 1x12 (easy to cut!) or plywood if you want a deeper desk. Just mount it, stain it, and you're done! Desk #3 is just a piece of plywood cut to size, plus a set of 40" hairpin legs. The end. The legs can be a bit pricey (here is a set on amazon) but it will be a crazy easy build and look so spiffy when you're done.